Morgan Truong, B.F.A. Fashion Design, born in Ho Chi Minh City, Vietnam, and has lived in both Singapore and New Zealand. Her talent has been recognized in both Singapore and the U.S.; Morgan won the 2011 Singapore Women’s Haute Couture Week Competition, and she was awarded third place in Inspirare’s 2013 Global Design Competition. For her graduation collection Morgan collaborated with Han Huynh, B.F.A. Industrial Design, who created 3D printed accessories that were inspired by car engines. The collection aimed to transform tradition by modernizing the shapes of both the interior and exterior of retro style cars. 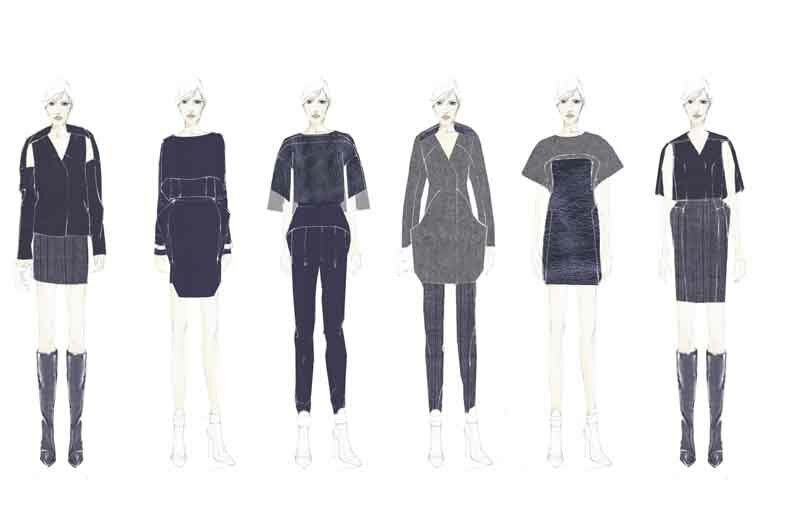 Materials used in the collection include Nappa metallic leather, wool melton, hand-dyed Hmong cotton, silk, Lycra and wool.